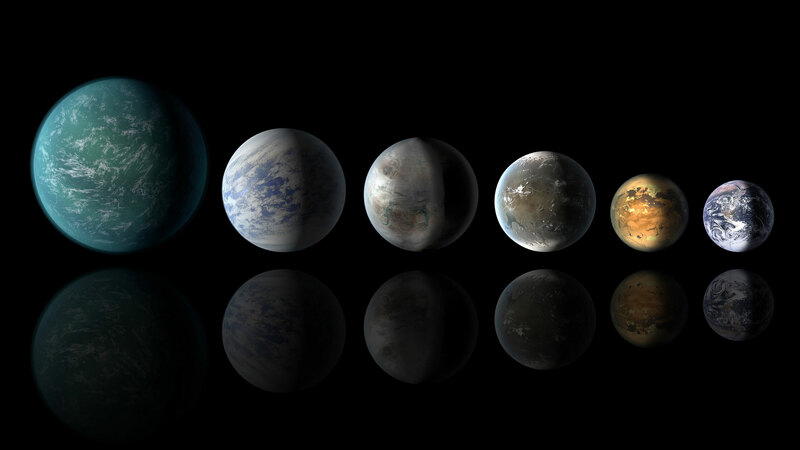 With the help of the Kepler Space Telescope, astronomers and scientists continue to search for another Earth-like planet. Kepler-62f’s discovery was announced in April 2013, about the same time as Kepler-69c, another super Earth — though one that is 70 percent larger than our home planet. That’s the bad news; astronomers are uncertain about the planet’s composition, or just when a “super Earth” becomes so large that it diminishes the chance of finding life on its surface. That also moves it farther than its competitors from the realm of a potential Earth twin. The good news is that Kepler-69c lies in its sun’s habitable zone, with a 242-day orbit reminiscent of our charbroiled sister planet, Venus. Its star is also similar to ours in size with about 80 percent of the sun’s luminosity. Its planetary system is about 2,700 light-years away in the constellation Cygnus. Not all the planets jostling to be most like Earth were discovered using Kepler. A super Earth known as Gliese 667Cc also came to light in 2011, discovered by astronomers combing through data from the European Southern Observatory’s 3.6-meter telescope in Chile. The planet, only 22 light-years away, has a mass at least 4.5 times that of Earth. It orbits a red dwarf in the habitable zone, though closely enough — with a mere 28-day orbit — to make the planet subject to intense flares that could erupt periodically from the star’s surface. Still, its sun is smaller and cooler than ours, and Gliese 667Cc’s orbital distance means it probably receives around 90 percent of the energy we get from the sun. That’s a point in favor of life, if the planet’s atmosphere is something like ours. The planet’s true size and density remain unknown, however, which means it could still turn out to be a gas planet, hostile to life as we know it. And powerful magnetic fluxes also could mean periodic drop-offs in the amount of energy reaching the planet, by as much as 40 percent. These drop-offs could last for months, according to scientists at the University of Oslo’s Institute of Theoretical Astrophysics in Norway. 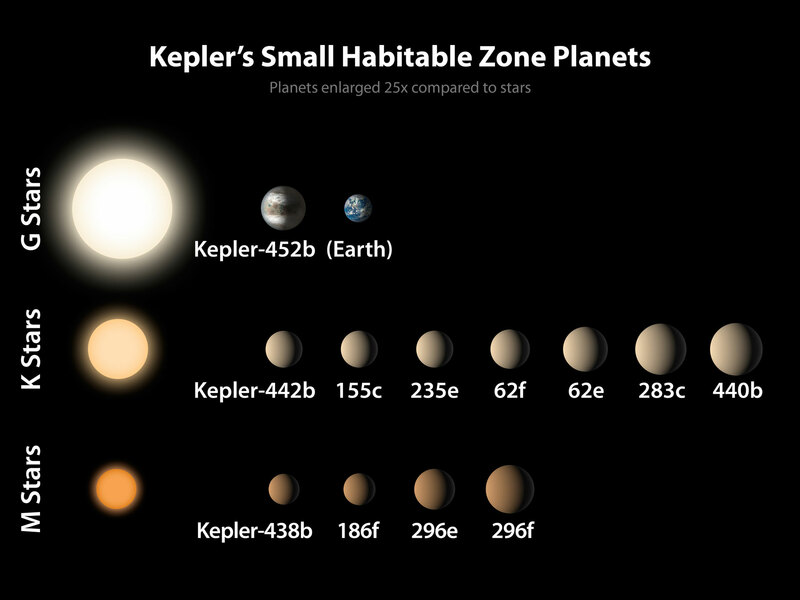 Too big, too uncertain, or circling the wrong kind of star: Shuffle through the catalog of habitable zone planets, and the closest we can come to Earth — at least so far — appears to be the new kid on the interstellar block, Kepler-452b. 1 Comment on "Kepler-452b and the Search for Another Earth"
If one wants to find Earth-like exoplanets, one has to search for planets with a Moon like ours. Among other things, for two reasons. (1) Jacques Laskar, researcher at CNRS, has shown how the Moon stabilizes the Earth’s axial tilt. Otherwise, there would be extreme and frequent changes in the climate, which would hinder any forms of life on our planet. (2) Without the Moon, the seeds here on the Earth would go under the viability threshold in a matter of two or three months, and would be not able to recover it at a later time. In fact, experimentally, the motion of the Moon induces two opposite processes: when its delay increases it induces cumulative processes in seeds; when its delay decreases it induces dissipative processes. That way seeds are able to maintain over time their viability (fluidity of fatty acid molecules). That way they elude the second thermodynamic law. People sow seeds does not matter the delay of the Moon. Instead, when they sow during a dissipative period, the output is much better. Above all if the seeds is heated during the preceding cumulative period. Paradoxically, because the temperature does diminish for the time being the viability. In fact, that prepares the seeds to recover it fully, during the following dissipative period.